- New Great power chucks, series HPTC, till clamping torque of 3.000 Nm. - New holders axial and radial microns setting for fine reaming operations. 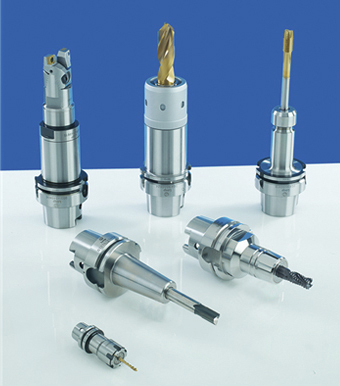 - New Polygonal taper clamping system ISO 26623 for multi task machining operation, (Laip LC 6 system). - New high speed machining collet chucks with run-out between taper and collet support under 3 microns. - Master gauges for 3 and/or 5 axis machines. - Horizontal 3 kW mini shrink fit machine, for shrinking toolholders systems. - Complete range of shrink fit chuck, all models and sizes.